Service Learning at LCCC is a grassroots movement among faculty, students, staff and community partners who believe in the potential of civically engaged education to transform the lives of students and the Lorain County community. Service Learning is a form of experiential education that combines meaningful community service with classroom instruction and reflection to enrich the learning experience, teach civic responsibility and strengthen communities. Service learning achieves and enhances course objectives while meeting an identified community need. 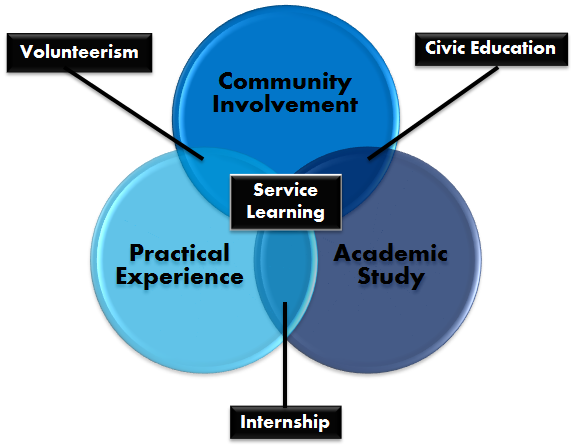 What Makes Service Learning Different? Service Learning is similar to volunteerism and community service, but it’s much more. It goes a step further by connecting to a specific course and to general education outcomes. And unlike internship and co-ops, Service Learning addresses an established community need. View the Service Learning Student Guide. If Service Learning sounds like the right fit for you, talk with your instructor or contact Sarah Hyde-Pinner at (440) 366-4745. Use the link below to submit your Service Learning Project.